If you are moving from your house and you are looking for an exceptional moving company that will give you a memorable experience, look no further, we are the ideal specialist for you. 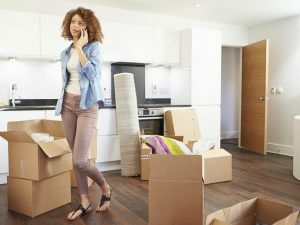 We have been providing super-quality house moving services for decades and we have essential knowledge and skills necessary to make your move as simple and hassle-free as possible. We understand that the belongings you have in your home are extremely close to your heart; hence we have purchased advanced technology that assists us to move them efficiently and securely to your desired location. The reason why we are the most reliable moving company in the city is that we engage our customers in the moving procedure so that we can assess their individual needs and ensure we move their possessions at their convenience. Whether you are carrying out a home clearance or you are moving home, do not lose a great deal of time in the clogged up market searching for a removalist who will offer an extraordinary service. Contact us now, and we will be at your doorstep before you know it. Moving furniture can be a head-scratcher. This is because it is not only bulky, but also delicate, and if not handled with care, you can end up sustaining unanticipated expenses fixing damaged items or changing them. We pride ourselves as one of the most renowned home furniture movers in the city. Using high-capacity cars in our fleet, we reduce the number of journeys that other removalists take to move furniture to your new house. This guarantees optimum convenience. We have moved furniture for countless clients, and they have praised us for our fast and easy moving, affordability, and credibility. To us, it doesn’t matter the quantity or worth of the furniture we are moving. All we appreciate is your needs as our consumer, and we shall purpose to fulfill them at all costs. Call us today, and have your furniture relocated in no time at all. Well, have you ever heard individuals saying that pianos can be moved by any removalist? This is far from the truth. If you want to take pleasure in the music in your new home as you did in your previous one, then you have to work with a professional piano removalist to move this device for you. Fortunately is, we are the perfect expert for the task. If your new house does not have the favourable conditions to hold a piano, we shall keep it in our specialized storage facility until you give us a green light that you nare ready to have it. Your pet is an essential member of the family. When transferring to your new house, you require a mover who will provide it the best moving experience. When you give us the honours to do it, we shall ensure we feed your pet and provide it with the medication it requires. We will also recommend you on what to pack for the pet so that you can have comfort knowing that your animal will get to the desired location safely. By being local, you can be sure that we heed to your call in no time at all, making it possible for you to comfortably transfer to your new facility. Call us today and we shall offer you a complimentary, no-obligation quote!